It’s that time of the year again, and pumpkins are one of those fruits that are in the sp otlight. The seasons are changing, the leaves are falling, the cider is pouring, and the pumpkins are flourishing. Pumpkin bread, pumpkin seeds, pumpkin pie, and so on, the goodie lists almost seems endless. 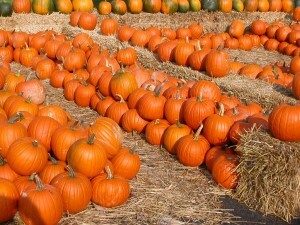 All this pumpkin madness and yet what many fail to realize is their AWESOME MEDICINAL BENEFITS. Read on and you’ll be amazed! Many of us know pumpkins for their awesome taste and decoration benefits, but did you know that pumpkin dates back as far as ancient Greece? 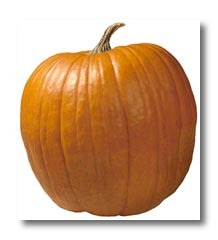 The word pumpkin originally was called “Pepon” which meant large mellon. Then the English eventually changed the name too “Pumpion”, and then it was changed too “Pumpkin” by the colonist in colonial times. 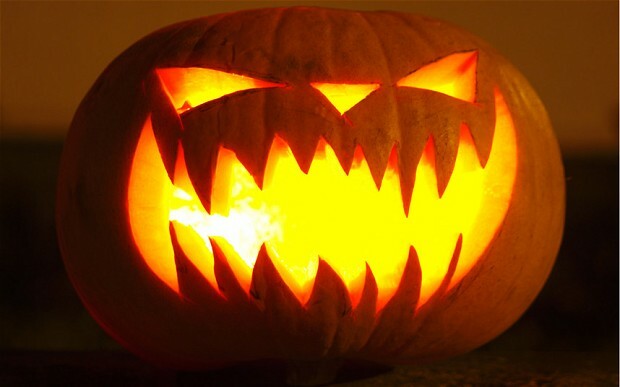 The pumpkin became famous not just because of it’s awesome taste and many other useful purposes, but because of it’s purpose as the “Jack-o-Lantern. According to an Irish myth, a man named “Stingy Jack invited the devil too have a drink with him. Apparently “Stingy Jack” didn’t get that name because he was a nice guy, he conned the devil to turn himself into a coin to pay for the drinks. To make a long story short, Jack tricked the devil a few different ways, enough to save his soul from being tormented. When he eventually did die, god nor the devil granted him access to either heaven or hell. The devil gave him a burning coal to guide his way, so jack eventually put the coal in a carved out turnip and has been roaming the earth ever since. Is pumpkin healthy for me? Here’s a list of some of the awesome things Pumpkins have inside of them. Pumpkins only have about 49 calories per one cup, and about 3 grams of fiber per serving. This is awesome new for those of you who want to snack on something good, but want to watch their weight in the meantime. Fiber makes you feel fuller longer, therefore you won’t have the cravings as you would if you would eat anything else. Pumpkins are actually one of the lowest calorie fruits that you can consume. So by eating Pumpkin you will not only be able to eat something you life, but you will help yourself to lose some unwanted pounds. Pumpkins are very high in phytosterols, which are excellent in helping to drop the bad cholesterol, all the while raising the good cholesterol. The greatest portion of these phytosterols are found within the seeds of the pumpkins. That’s why snacking on pumpkin seeds is an awesome way not only to shed some weight, but too help keep your good cholesterol up and your bad one down. For those of you who know a thing or 2 about Beta-Carotene, you know that studies have found that by supplementing with this antioxidant that it can have some significant results on cancer. Pumpkins are very high in this antioxidant, not only the seeds but so is the rind and the pulp of pumpkin. Studies have found that by taking in pumpkin daily, you can dramatically lower your risk for cancer, and some have found positive effects in decrease the cancer in those already affected. A good way to get your daily pumpkin intake is too either get the seeds, and add them too your daily snack. Or you can pick up some extract pills at a herbal or organic surplus store. Pumpkins are loaded with vitamin A and E which are beneficial to keeping your skin healthy and looking younger longer. Not only that, but the same carotenoids that can help protect you from cancer, can also help play a significant role in helping to maintain your beauty for much longer. Studies have found that by supplementing with pumpkin, and also utilize pumpkin facial masks, that not only does the pumpkin attribute too making you look healthier longer, but can also keep your face feeling smooth and cleaner. Pumpkins have a large abundance of the amino acid tryptophan. This amino acid is responsible for helping to increase your serotonin making you feel good. So by eating the seeds, which actually have the highest amount of this amino content in them, you’re actually helping to boost your mood in a positive manner!